Sometimes, jaw discrepancies are quite pronounced – the upper and/or lower jaw(s) may be too large or small and not fit properly with the cranial base – and require orthognathic surgery. This type of surgery corrects skeletal discrepancies in the bony structures of the teeth and jaws. Orthognathic surgery may be a solution for people with jaw alignment and improper bites. If not corrected, your chewing function, speech, long-term oral health, and appearance may be negatively impacted. While orthodontics alone may be sufficient to correct tooth-related issues, orthodontic problems involving the jaw alignment often require orthognathic surgery. Before surgery can take place, the teeth are moved into optimal position with orthodontic appliances (Braces or Invisalign). 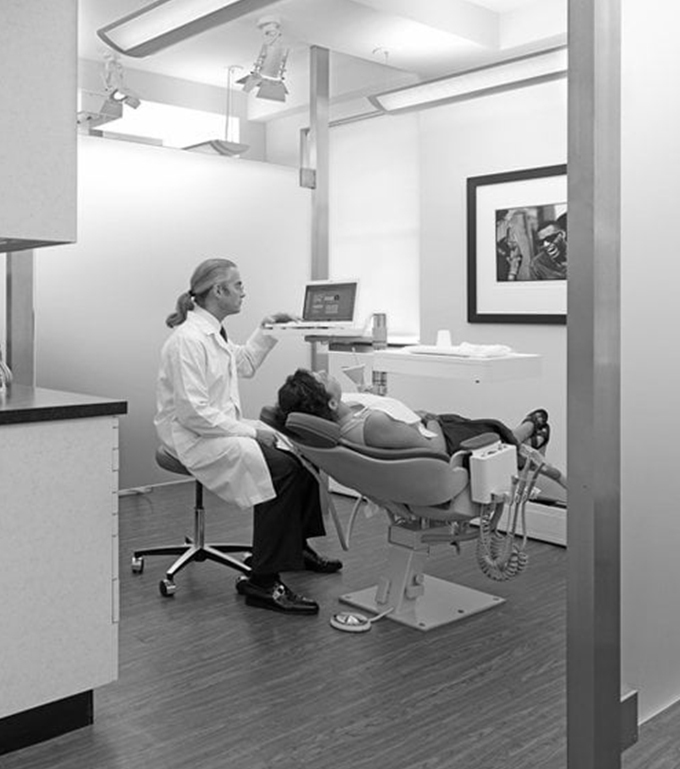 Due to the intricacy of the surgery, the process includes both pre-surgical and post-surgical orthodontics. New diagnostic records are made during the presurgical orthodontic preparation, allowing our highly skilled doctors to work hand-in-hand with the appropriate oral surgeon to develop a treatment plan that will improve the placement of the jaws and alignment of the teeth. After the jaw surgery, post-surgical orthodontics includes optimization of the teeth alignment. The result is a beautifully balanced bite and smile. If you are experiencing any of the above symptoms, contact our orthodontists in the Upper East Side and Tribeca. Whether you require jaw surgery or any of our other orthodontic treatments, we will work with you to create the smile of your dreams. Schedule an appointment online, give us a call or stop by our office. We look forward to meeting you!